Fine Art Shippers is primarily known as a reliable art moving company operating across the Tri-State Area. That’s true! We are professional shippers of fine art, with head office located in Midtown Manhattan, New York City, serving the art community and private clients who require expert help with moving their collections of art and antiques. However, did you know that we also provide heavy equipment transport service? If not, this blog post will tell you everything you need to know about shipping heavy equipment and other oversized items with Fine Art Shippers! 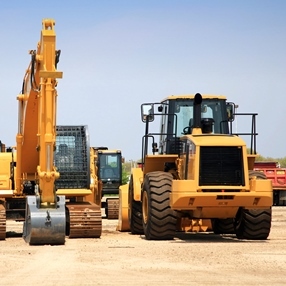 Designed for executing complex tasks, heavy equipment refers to heavy-duty vehicles, such as dozers and excavators, most of which are involved in various earthwork and construction operations. It is needless to say that heavy equipment is essential to the success of many businesses, as well as for work in a whole range of industries. But what if you need to ship any of these large and heavy vehicles to another facility, work site, or farm? This task can be very difficult and even impossible for many freight companies. However, the good news is that it is not the case for Fine Art Shippers and our heavy equipment transport service! As one of the most reliable crating and shipping companies in NYC, Fine Art Shippers has all the resources and equipment to handle even the most challenging moving jobs. We are equally good at shipping fine art and transporting huge items like heavy machines of any type. Thereby, whether it comes to shipping construction and engineering equipment, agricultural tractors, or cranes, our heavy equipment transport service is your best option, especially if you want any of them to arrive at the destination on time. Depending on the size and weight of your vehicle, we will choose the best truck trailer type (e.g., a traveling axle trailer, a lowboy trailer, a step deck trailer, a hotshot trailer, a flatbed trailer) to fit your particular shipping needs. Moreover, our heavy equipment transport service is aimed at providing the most cost-effective option to lower shipping costs for our clients. In fact, you will hardly find better heavy equipment shipping rates than those offered by Fine Art Shippers. Just let us know about your shipping problem, and we will find the best solution within your budget! Call us today to know more about our heavy equipment transport service!